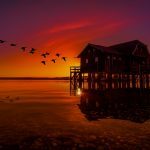 How do I get a free kbmMemTable or kbmMW? We provide a free license which can also be used for commercial applications. What you should look for is kbmMW CodeGear Edition. The installer of kbmMW CodeGear Edition includes kbmMemTable CodeGear Edition, which thus installs automatically along with kbmMW CodeGear Edition. If you have never logged in on our download portal before, you will need to register yourself first. We do not verify the information you provide for name etc, but please, as a courtesy to us, type in your real name and accessible email address. as a minimum. When you have logged in, you will have direct access to all the free products we currently offer, and in all the versions we have made available. kbmMW CodeGear Edition do not include source code, so you will have to choose a version matching the development environment you have. CodeGear Edition only supports Delphi. Further kbmMW CodeGear Edition is updated less regular than our paid versions of kbmMemTable and kbmMW. Latest version released of CodeGear Edition will only match latest version of Delphi. Thus the older Delphi version you will want to download for, the older version of kbmMW CodeGear Edition you will need to download. What do you get with kbmMW CodeGear Edition? What do you not get with kbmMW CodeGear Edition? The above features are all available in kbmMW Enterprise Edition. kbmMW Professional Edition contains a subset of them. 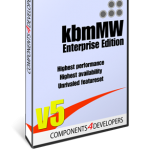 Both kbmMW Enterprise Edition and kbmMW Professional Edition includes source. Please check our site for detailed feature matrix.